Combining the right gemstones with diamonds is truly an art of designing stunning jewellery. Since the diamond-ruby and emerald – ruby combinations have become a regular today, the team at Manubhai Jewellers curated a fabulous diamond jewellery collection with mother of pearl. 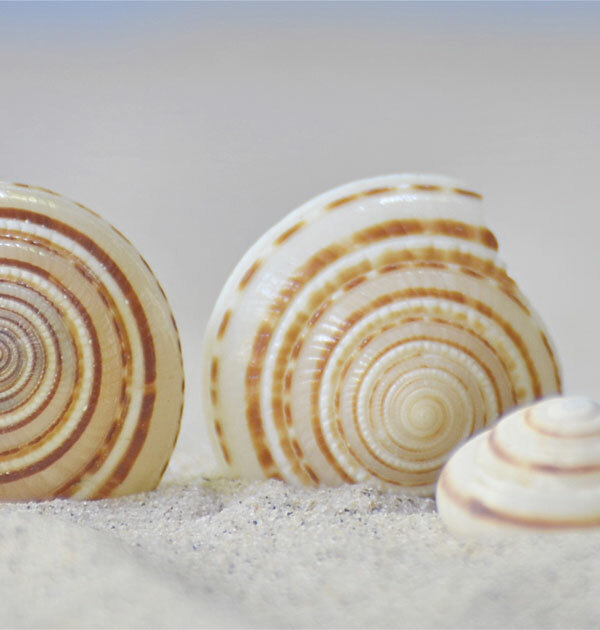 Lustrous, shiny and stylish, Manubhai Jewellers, mother of pearl diamond jewellery is inspired by the natural elements of the ocean. 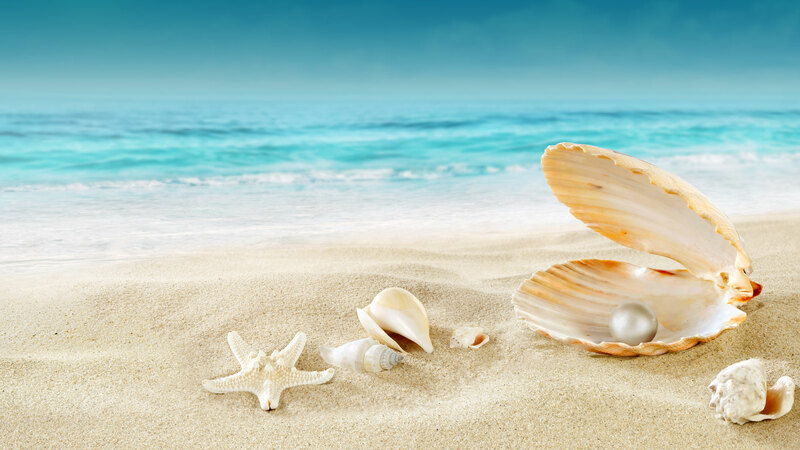 The smooth pearly lustre and white- pink hues of the pearls in the jewellery defines class and sophistication. 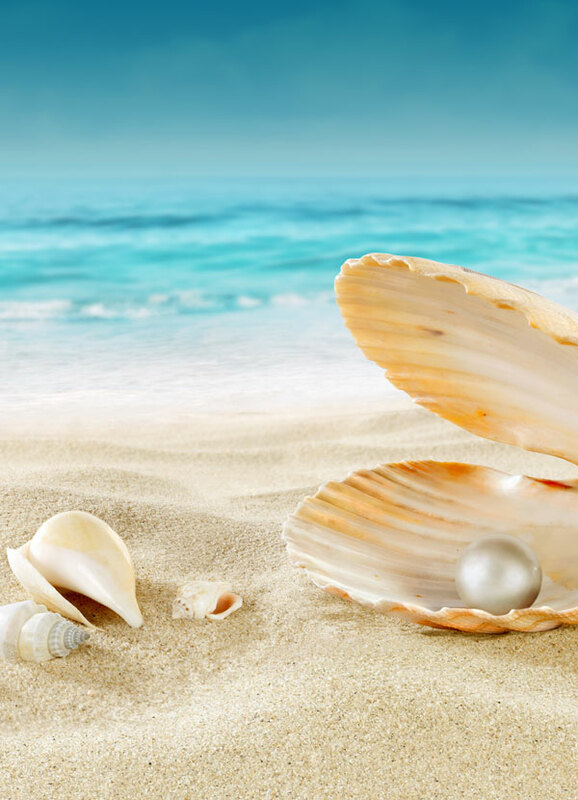 The mother of pearl diamond jewellery collection has a variety of motifs; from hexagonal diamond earring studs, dainty lily shaped diamond rings to diamond pendant sets carved like ocean mollusks. Each of these diamond jewellery pieces are encrusted with VVS/FG quality of diamonds in 18k hallmarked rose gold; that brings out the touch pink beautifully. 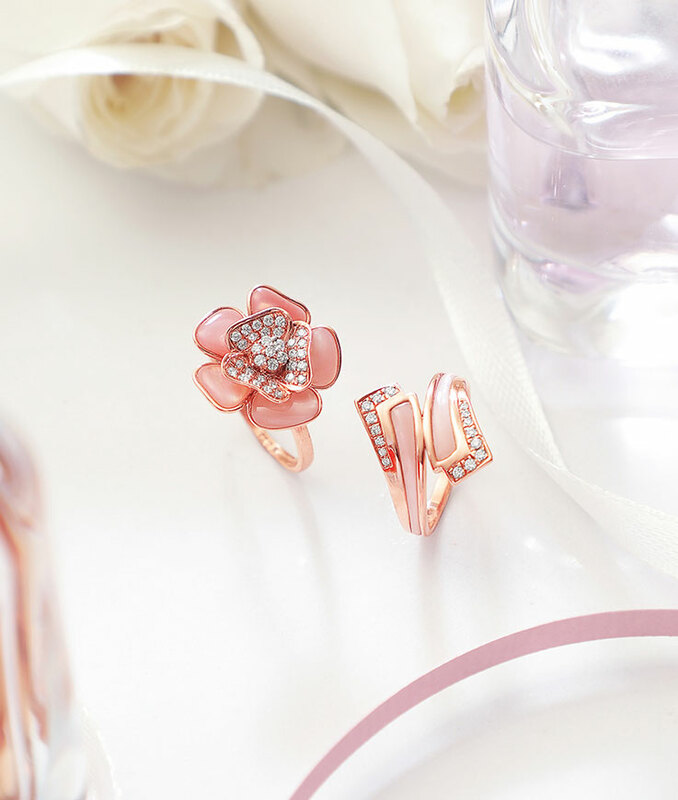 You can sport these dainty pieces at a brunch, at your office parties and even at that summer vacation by the seaside! 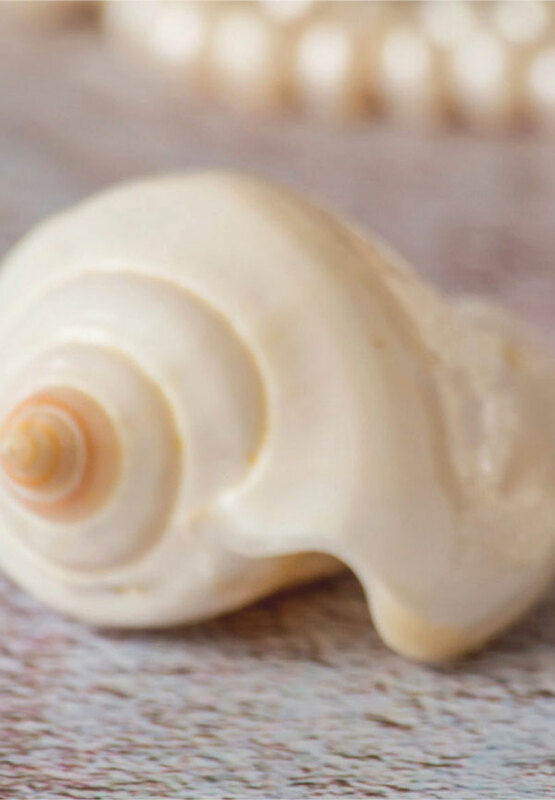 The mother of a pearl collection, has a unique colour and faint glow which matches all skin tones and looks sublimely beautiful. 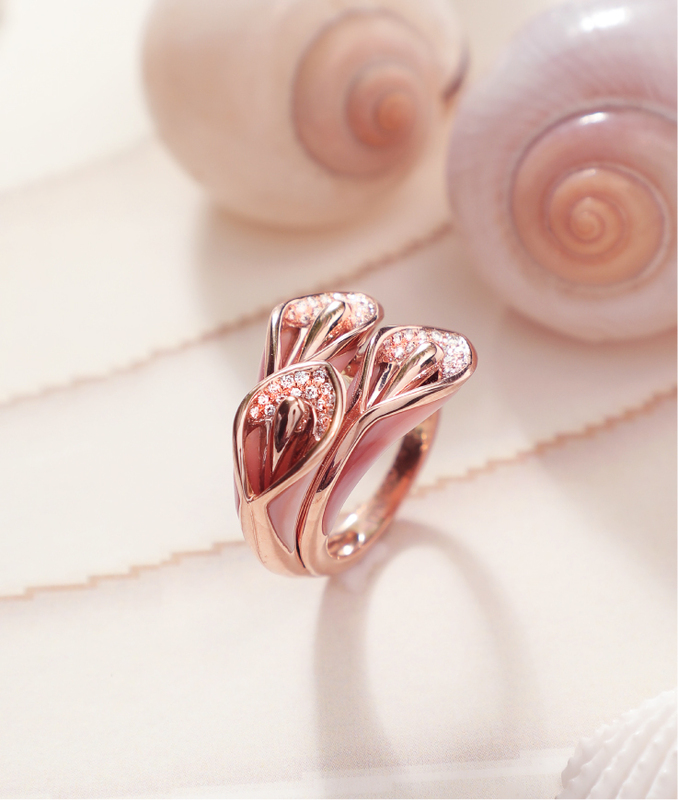 Beautiful 18k rose gold lily buds are unified with white round diamonds in VVS FG diamond quality. 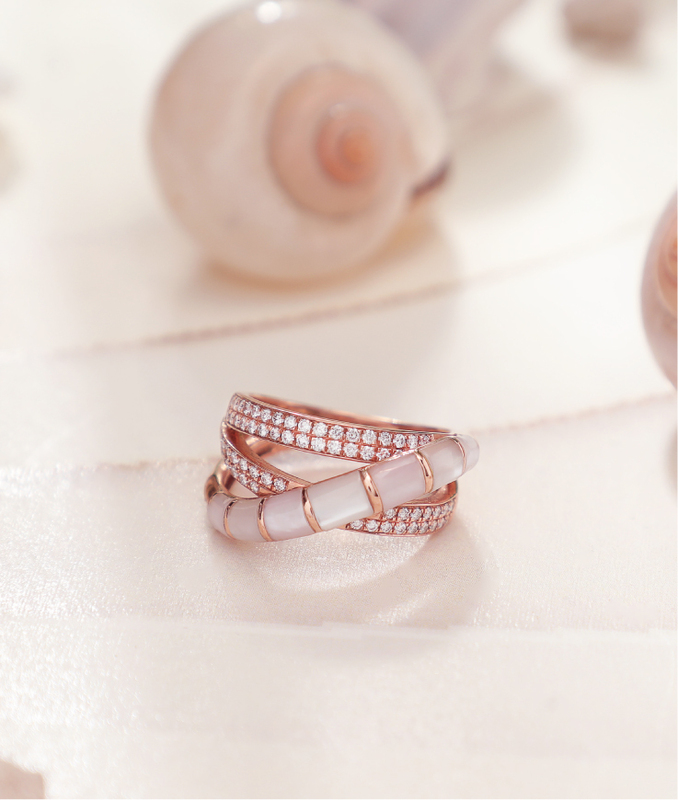 A touch of Mother of Pearl captures the essence of the mesmerizing sea bed and form a gorgeous diamond ring. Diamond danglers are in! This gorgeous pair of earrings is composed of 18k hallmarked rose gold, brilliant white round diamonds of 0.47 cents, VVS FG quality diamonds and a touch of mother of pearl together take your breath away. 0.33 cents, VVS FG diamond quality, round diamonds and mother of pearl latticed with beautiful 18k hallmarked rose gold form an absolutely charming diamond with its enchanting coral shine. Gorgeous 18k Hallmarked Gold, Diamond and Mother of Pearl Drop Earrings. 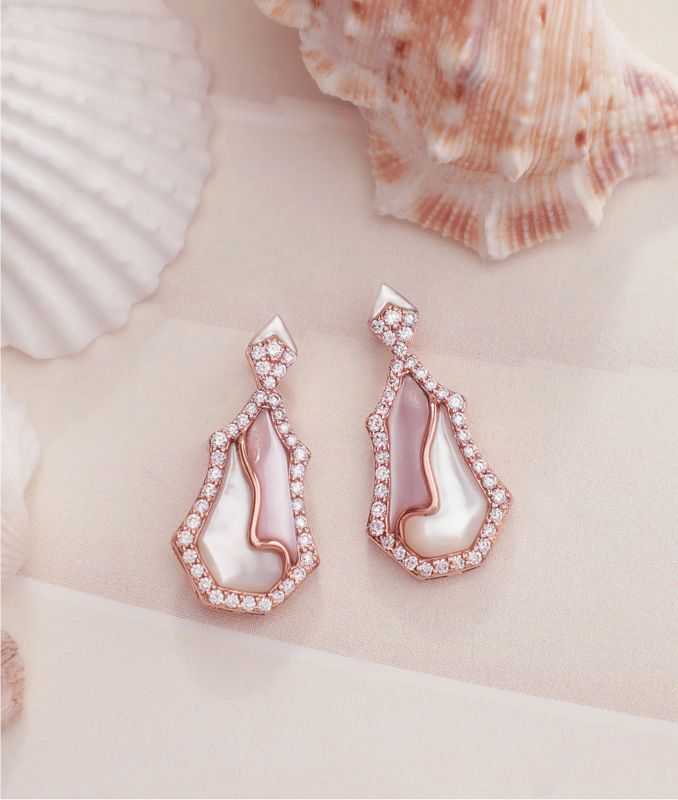 Elegant hour glass diamond drop earrings bring out the pink and white hues of mother of pearl! Crafted in 18k hallmarked rose gold and 0.49 cents, VVS FG diamond quality fuse together to bring to you a gorgeous pair of earrings to sport on every occasion. 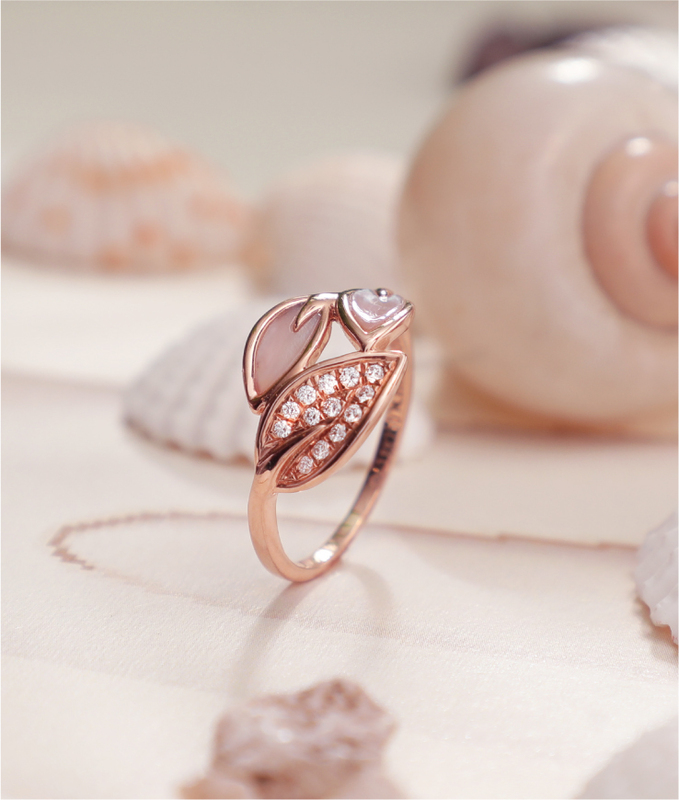 The supple faint glow of the Mother of Pearl blends perfectly with the pink hue of the beautiful 18k Hallmarked Rose Gold. With 0.58 cents and VVS FG diamonds quality, this diamond pendant set with its disc shaped diamond earrings flatters every skin tone. Gorgeous pink dewdrops of mother of pearl and white round diamonds in VVS FG Diamond Quality are mounted on top of a rose gold ring to collectively form your everyday dose of pearl! 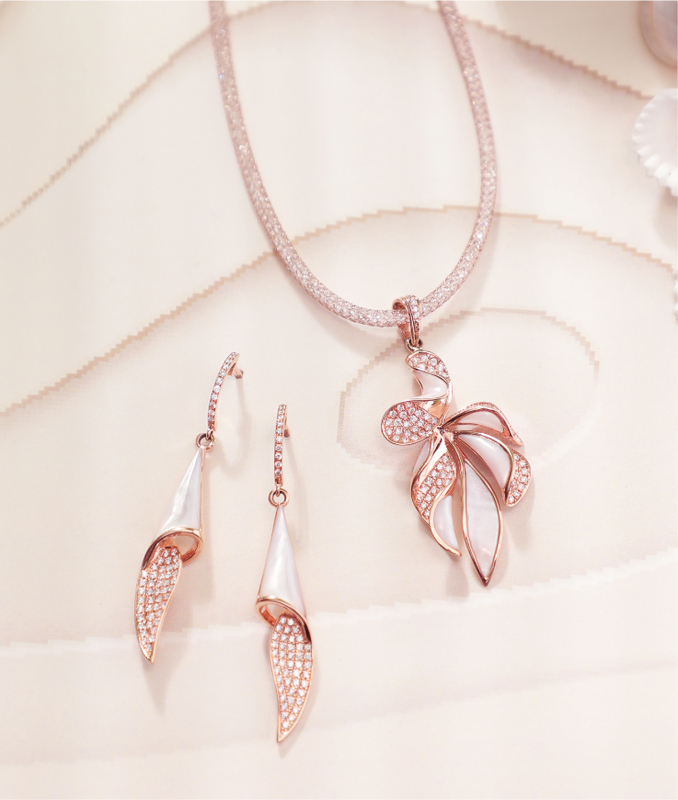 Ribbons of mother of pearl in 18k hallmarked rose gold along with the coral hues finely cut VVS FG diamond quality unite together and form this stunning pendant set with beautiful twirling diamond earrings to tie your look together. 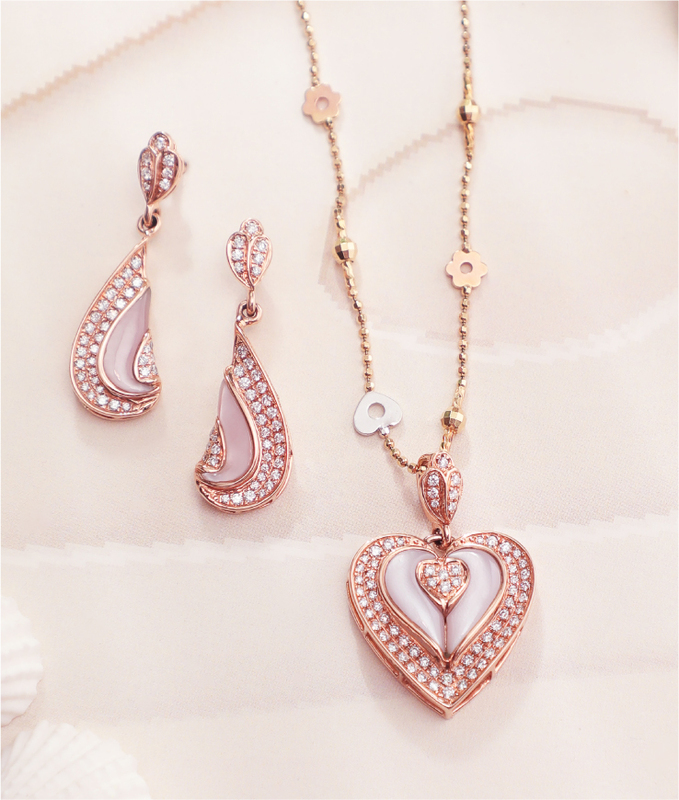 Attractive 18k Hallmarked Rose Gold, Diamonds and Mother of Pearl Pendant Set. 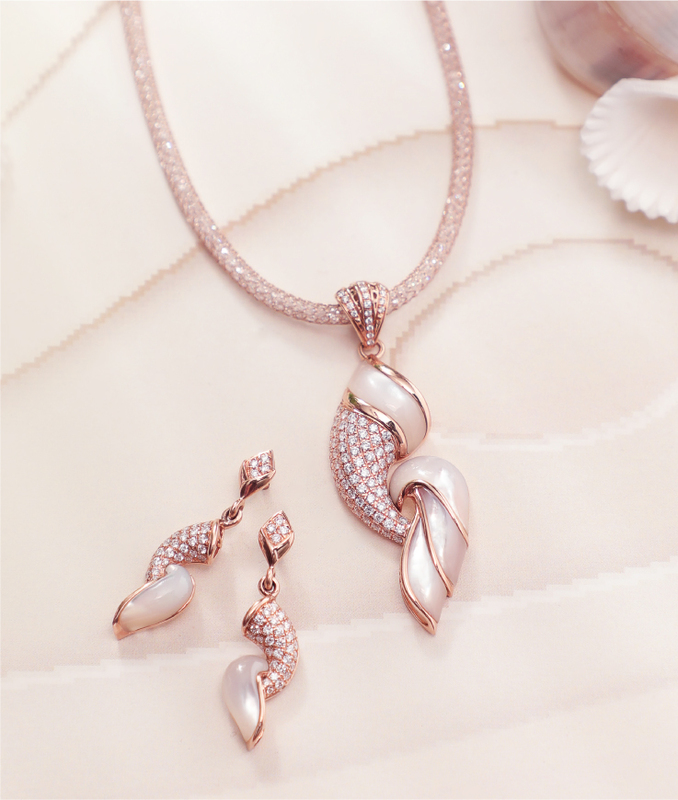 the twists of mother of pearl and turns of rose gold embossed with beautiful diamonds give you a charming pendant set. 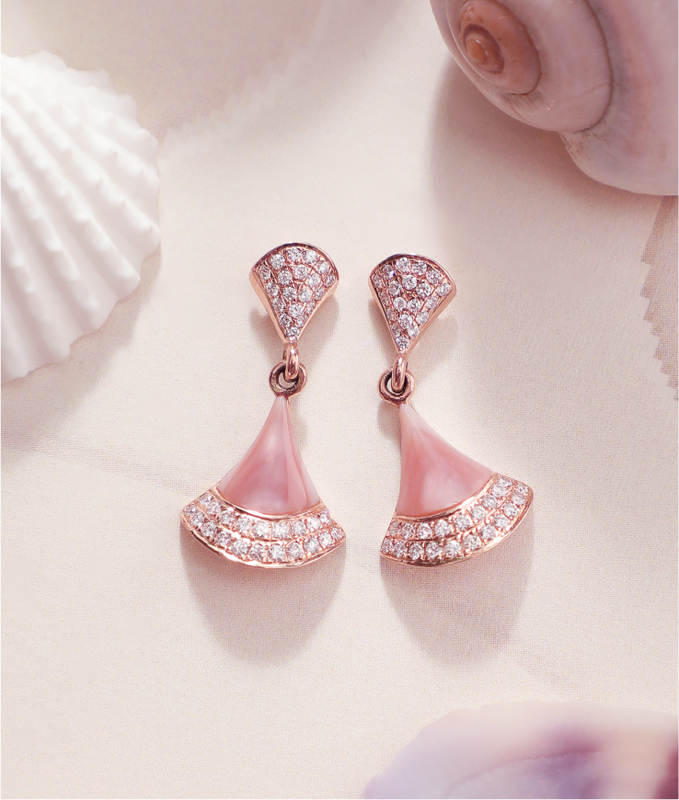 18k hallmarked rose gold laced in between the coral hues of mother of pearl and white round diamonds of 1.25 carats and VVS FG diamond quality along with dangling diamond earrings give you the perfect vacation look. Flawless curves of 18k hallmarked rose gold and mother of pearl studded with 0.89 cent of round diamonds in VVS FG diamond quality collectively form a heart, bound to please your heart along with its pretty little dangling diamond earrings! 18k Hallmarked Rose Gold, Mother of Pearl and Diamond Stud Earrings. 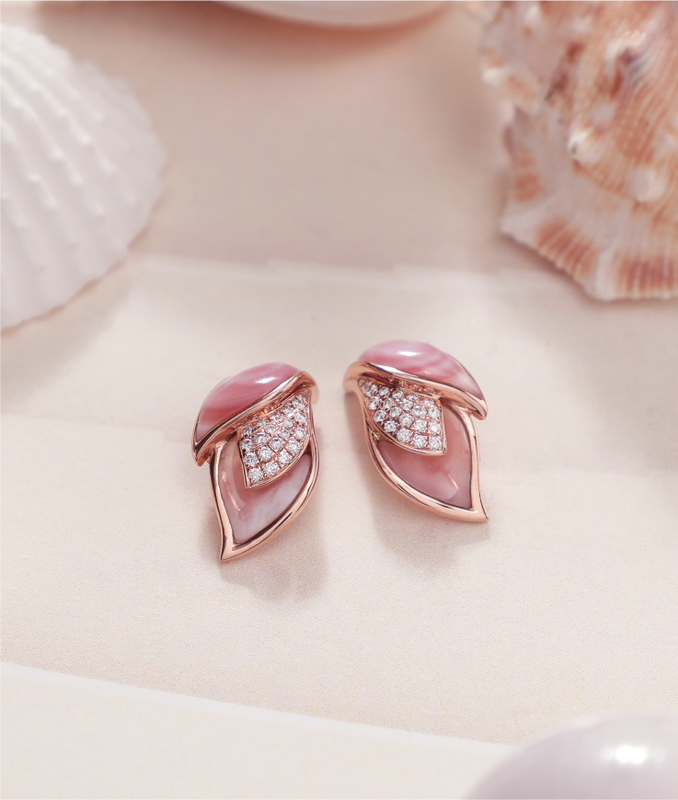 Delightful coral hue petals of 18k hallmarked rose gold and mother of pearl casing clusters of 0.18 cents and VVS FG quality of diamonds come together to form these fine-looking diamond studs. 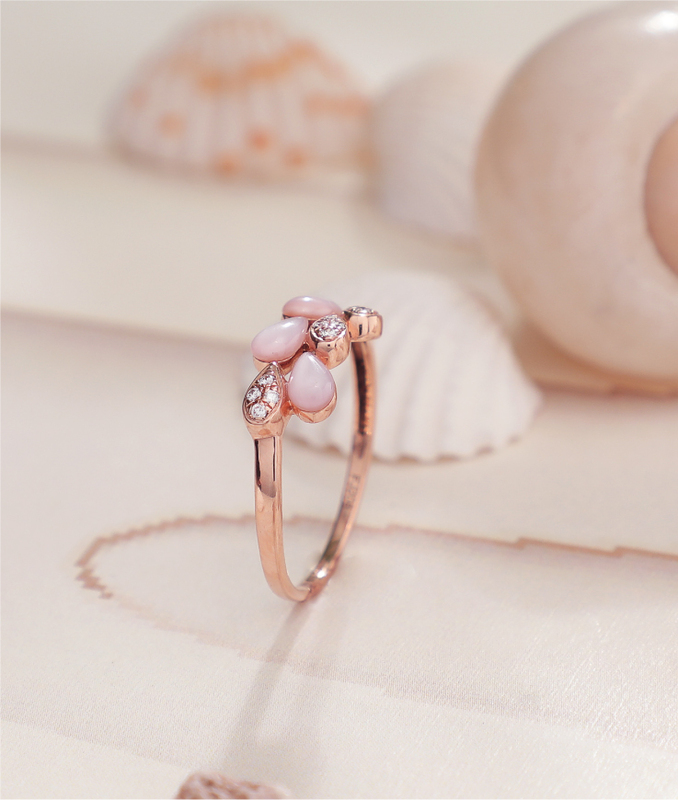 Rose petals of mother of pearl and clusters diamonds lined with 18k hallmarked rose gold come together to form a beautiful blooming flower mounted atop a lovely rose gold ring.